Stress has become a modern epidemic. Despite the link to depression, weight gain, chronic disease, and premature aging it can be difficult to dial back responsibilities to embrace a more relaxed lifestyle. As a result prescriptions for antidepressants have skyrocketed with questionable success. Here are some natural tools to help you overcome stress and live a more fulfilling life. When you are feeling stressed you’re more likely to turn to sugar, caffeine, alcohol, and nicotine to soothe yourself, however, the effect is short-term. In the long run, they all increase stress levels on the body. You can, however, use food to increase your ability to handle stress. Focus on getting an adequate amount of vitamin D, magnesium and probiotic-rich foods. Also eating mostly unprocessed natural foods especially vegetables will help your body to operate at its best. At Eco Chateau Wellness Spa we provide clients with our probiotic-rich kombucha and organic juices to help fortify and heal the body naturally. Moving is one of the best ways to alleviate stress and flood your body with positive endorphins. All exercise is beneficial from yoga to biking, running or kayaking. Do something that challenges you and feels good. People need to be touched. Babies who are not held enough suffer from a failure to thrive. In adults, we call the deficit skin hunger. Although technology has given us accelerated productivity it often robs us of physical connection. 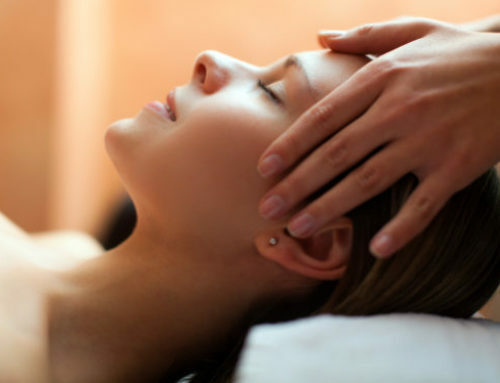 Massage improves your health and wellbeing, by improving circulation, and relieving tense muscles. Even more importantly, massage decreases stress hormones and causes a release in endorphins, which calm the peripheral nervous system. This is why massage alleviates symptoms of stress and pain. 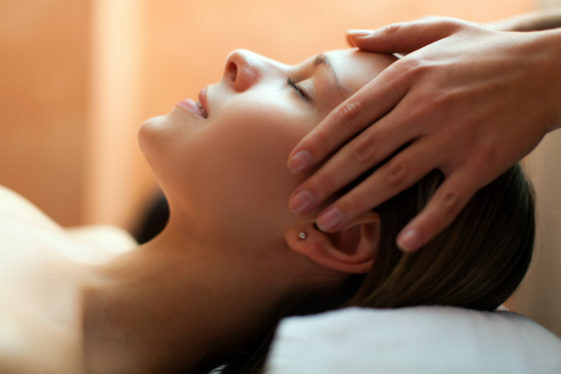 We offer our clients a variety of massage and facial options for optimal relaxation and rejuvenation. Your grandmother was right. Spending time outdoors in nature is proven to lower stress hormones. Getting some fresh air also gives you an oxygen boost. As an added bonus you can walk outside in the sun and benefit from the fresh air, exercise and vitamin D.
Social media, news, and television can be a great distraction from our daily stressors, however, exposure to violence, unrealistic body image expectations and only seeing the highlights of others lives can take their toll on your psyche. Instead of turning to the screen meet up with a friend or head to the spa for a relaxing infrared sauna session, massage or facial. If something is weighing on you. Get it out. Literally. Saying or writing down challenges or worries helps puts them in perspective. Your body uses sleep to repair itself and regulate hormones. A lack of rest can cause your stress hormones to spike leaving you tired and wired. 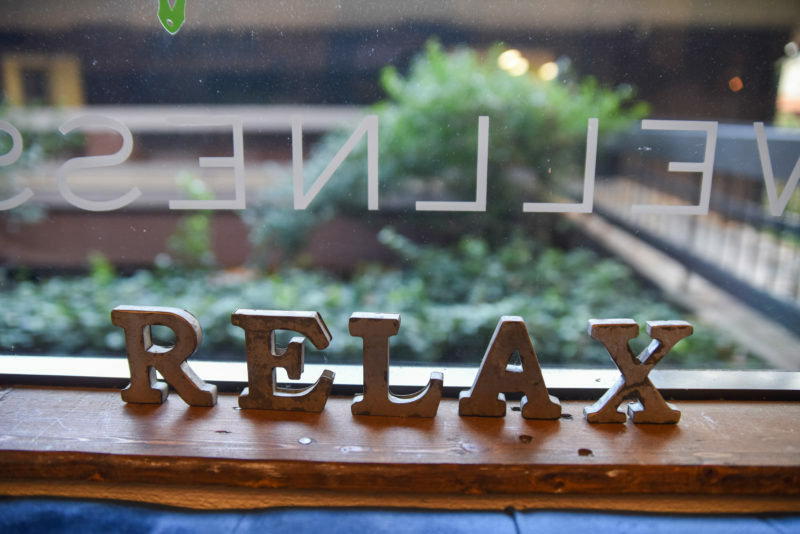 If you have trouble winding down try a walk, chamomile tea, or relaxing spa treatment, massage treatments, and the infrared sauna are ideal. Use music to help soothe your soul. Slow classical music or alpha wave sounds are recommended however you can choose any music that you find relaxing. At Eco Chateau music is an essential ingredient in creating a relaxing ambiance. Guests are welcome to bring their music to spa services or listen to something from our selection. A little sunlight boosts serotonin levels and helps produce vitamin D. However its damaging effects are also dangerous. Thankfully there’s a solution. Infrared light helps to reduce stress, with none of the negative side effects. At Eco Chateau Wellness Spa you can enjoy infrared light exposure in a thermal body wrap or sauna setting. 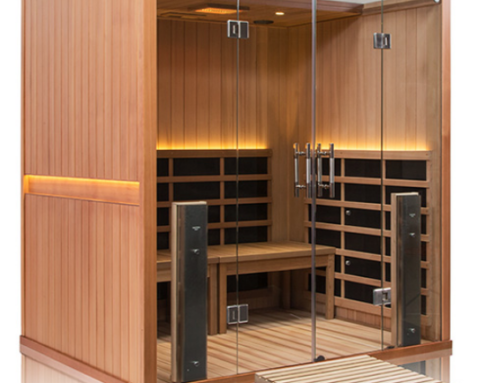 Our infrared sauna sessions are invigorating, and you can choose whether to enjoy the experience in blissful solitude or with a friend. Our Mission Valley location also boasts an innovative yoga sauna, with room for up to four people to practice the discipline, while you enjoy the healthful benefits. 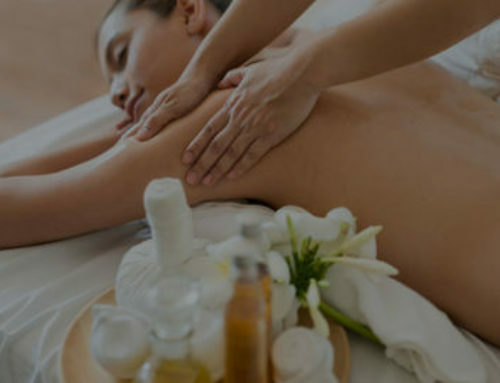 We offer a natural antidote to stress at our beautiful Sorrento Valley or Mission Valley locations in San Diego, where you can relax while we put scientific theory into practical application with restorative treatments like our body massage, infrared light therapy body wraps, and an infrared sauna. Some say that happiness is a habit — so is managing your stress. Make your health a priority with preventative self-care at our luxurious Eco Chateau Wellness Spa in San Diego. We offer locations in both Mission Valley and Sorrento Valley. Contact our Eco Chateau team now to book a service to lower your stress and boost your health naturally.